On the 5th November the Mayor of Greater Manchester Andy Burnham, joined together with a host of organisations from across the North West to help mark the start of Living Wage Week with an event at the National Football Museum in Manchester. The event was one of several regional such gatherings to announce the new Living Wage Foundation pay rate of £9.00 per hour outside of London (up from £8.75). 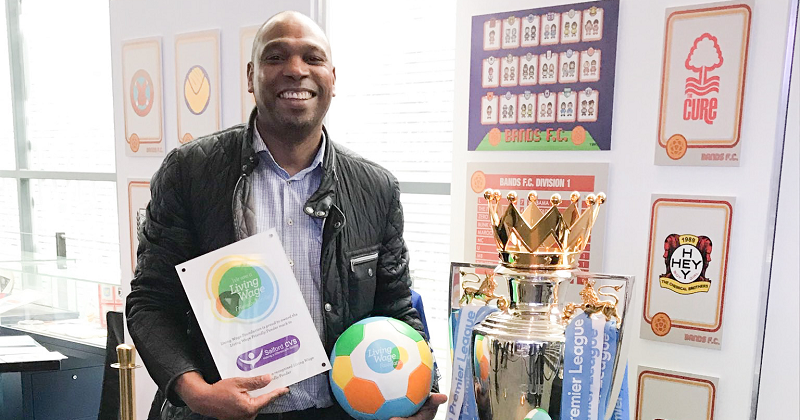 In addition, Salford CVS was presented with a plaque (and commemorative football) to mark our accreditation as an official Living Wage Friendly Funder. In becoming an official Living Wage Friendly Funder, Salford CVS joins a host of major grant-giving organisations such as Comic Relief, the Joseph Rowntree Foundation and the People's Health Trust, in being recognised by the Living Wage Foundation as proactively supporting decently paid jobs. 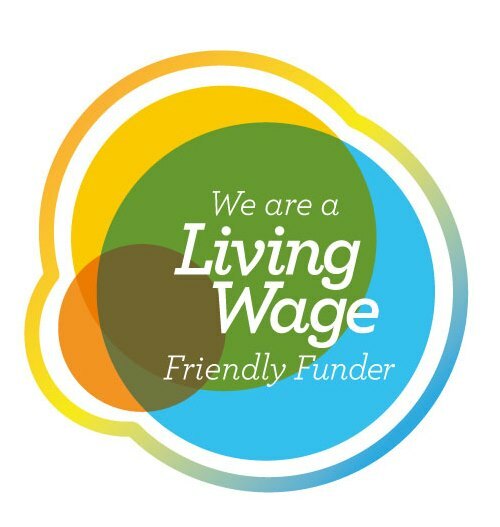 The Friendly Funder mark recognises Salford CVS' longstanding position as a Living Wage Employer and our positive approach to funding of organisations which themselves pay the Living Wage. Since April 2018 Salford CVS has explicitly asked applicants for funding whether or not they pay the living wage. In the last eight months, we've supported 28 organisation with larger grants of between £10,000 and £50,000. Twenty-five of those organisations have confirmed that they pay the Living Wage Foundation minimum wage or more. The remaining three did not employ staff. These larger grants supported 10.3 full-time equivalent jobs here in Salford. This is part of the work Salford CVS is doing under the '10% Better Campaign' which has a target of having 'at least 1,570 more Salford residents paid the Living Wage Foundation ‘real’ Living Wage' by 2021. What's the difference between the Minimum Wage and Living Wage Foundation's Living Wage? By law, all employers in the UK must pay the minimum wage of £7.83 (for those aged 25 and over) or £7.38 for (for those aged 21 and older). However, the Living Wage Foundation recognises that this national minimum still means that many people in employment struggle to meet their everyday costs of living. They argue that employers should recognise this and look to pay their employees at least £9.00 an hour (£10.15 in London). By paying this real living wage employers help to reduce poverty and reduce dependency on in-work benefits.